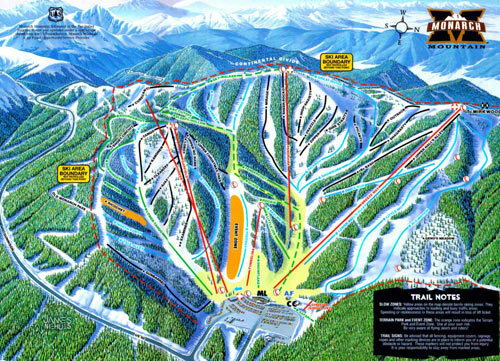 Monarch Mountain offers great winter recreation just 10 miles from the Ponderosa Lodge. Child (<7) cannot be included in group numbers. *Peak Rate Dates: 12/23—31/06, 1/13—14/07, 2/17—18/07, and 3/10—31/07. The Ski Monarch web cam (with a view of Monarch Mountain) is provided by Ski Monarch.Com.